Oracle Linux è una distribuzione Linux di classe enterprise supportata da Oracle ed è basata su Red Hat Enterprise Linux (100% compatibile). 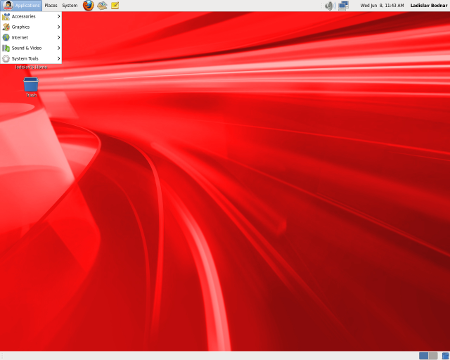 Oracle Linux maintains user space compatibility with Red Hat Enterprise Linux (RHEL), which is independent of the kernel version that underlies the operating system. Existing applications in user space will continue to run unmodified on Oracle Linux 7 Update 6 with UEK Release 5 and no re-certifications are needed for applications already certified with Red Hat Enterprise Linux 7 or Oracle Linux 7. DTrace has been enabled for Arm platforms and ports of the DTrace code are available in the Unbreakable Enterprise Kernel Release 5 channel on the Oracle Linux yum server. The DTrace user space code in the dtrace-utils package has been ported to run on 64-bit Arm platforms to fully enable DTrace for Oracle Linux 7 Update 6 (aarch64). Si tratta del 6° update al ramo 7.